El Gordo is perhaps the most famous lottery in the whole of Europe. Once the end of the year rolls around, when it is almost Christmas, Spaniards will line up en masse to purchase tickets for the biggest lottery of the country. For many tv shows and current affairs programmes, this is a great opportunity to discuss and analyse the wonderful phenomenon called El Gordo (literally translated ‘the fat’ or ‘the fat one’). Yet El Gordo is so much more than just this special Christmas lottery, with prize money adding up to several billions of euros. Each week, you get to take part in the Sunday draw as well, which is officially called El Gordo de la Primitiva. With a minimum jackpot of 5 million euros, there are plenty of great prizes to be won here, too. Spain has an impressive history when it comes to big lotteries. King Charles III already took the initiative of organising an actual royal lottery back in 1763. Some decades later, in 1812, the first official national lottery followed. Less than 200 years later, the time had come to add a new lottery to the Loterías y Apuestas del Estado (or, the Spanish state lotteries). And this was El Gordo de la Primitiva. The first draw took place in 1993. In its early days, the number of draws was still very limited. As it was, players only had a shot at winning the great jackpot of El Gordo on the last Sunday of the month. Yet taking part in lotteries is a part of the Spanish national identity. Therefore, it did not take long before the number of draws was extended. Since the fall of 1997, the organisation switches on its lotto machine every Sunday. The Spaniards are known for their close-knit family ties. Especially in the smaller villages, entire families can be spotted dining together into the late night. And it is definitely not just the food that Spaniards love to share. They also enjoy sharing their hopes for a (literally) richer life with the people around them. So, around Christmas time, many Spaniards will team up with their neighbours or family to purchase tickets for El Gordo. Everyone takes part using the same ticket number, making the excitement that much greater if it happens to win the lottery. And the jackpot is pretty well stocked. Even when having to split the prize, each winner might just gain tons and tons of euros. – The Christmas lottery El Gordo is organised once per year, while the Sunday lottery takes place every week. – For the Sunday lottery, you can decide for yourself what numbers you want to play with, so that there are (fairly) unique lottery ticket numbers. The Christmas lottery, on the other hand, distributes anywhere between 160 and 200 copies of one and the same lottery ticket number every year. Thus, you always have to share the big prize with a large group of people. – Both lotteries operate using a lottery machine and balls. Yet the games are vastly different. For instance, you have to select your own numbers for the Sunday lottery, whereas the Christmas lottery works with a fixed lottery ticket number that consists of 5 numbers. – The Christmas lottery is a lot older than El Gordo de la Primitiva. For comparison: with its first draw on December 18, 1812, this is the oldest lottery played in Spain. A lottery ticket for El Gordo de la Primitiva consists of two different parts. The same system is used as for big lotteries like EuroMillions and the US Powerball. The first grid consists of 54 numbers (1 to 54), that you get to select 5 from. It might already be quite a task to compile a number sequence that you feel comfortable with. Yet this is not all. Because a second grid of numbers is waiting for you as well. It consists of 10 numbers, of which – surprisingly enough – the 0 has been added to the grid. This is quite unusual for a lottery ticket, but who knows, this number might just be the one resulting in a winning combination. Although you only have to select one number in the second grid (0 to 9), you will sorely need this number if you want to win the jackpot. For the Spanish El Gordo, the jackpot will start at a fixed amount of 5 million euros. Have you not won the jackpot? Then you obviously hope that other players will not have the winning combo on their ticket either. After each draw, the jackpot will increase. As such, back in 2011, a winner already took off with a record amount of 33 million euros. Your odds of doing the same are about 32 million to 1. Therefore, you have got to be really lucky to end up being the grand winner. But owing to the 9 different prize categories, you still have a pretty good shot at winning one of the other cash prizes. Will you purchase a lottery ticket for the Spanish El Gordo? El Gordo is one of the most popular lotteries of Spain. And by this, we are not just referring to the Christmas lottery. As it is, a huge number of lottery tickets are sold each week for the Sunday lottery. 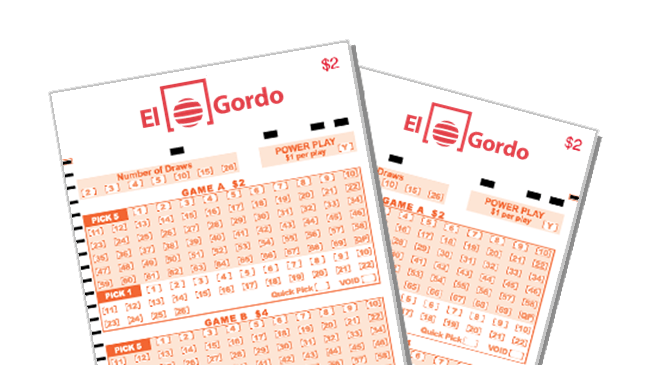 Foreign lottery enthusiasts often get somewhat confused by the mention of El Gordo. They associate this lottery with the 2.5 billion that is handed out around Christmas time. Therefore, always keep in mind that there are two Spanish lotteries that use the name El Gordo. The jackpot of the Sunday lottery is significantly lower, yet the advantage is that you do not have to wait an entire year for the next draw. This is a stark contrast to the Christmas lottery. El Gordo de la Primitiva really is an interesting lottery, that many Spaniards take part in for a good reason. Those who want to take part in the Spanish El Gordo lottery and, in doing so, have a shot at amazing cash prizes, can do so by simply purchasing tickets on sites like Lottosend and TheLotter. These websites serve as intermediaries and provide you with an opportunity to simply buy official lottery tickets online. After that, the intermediary buys your personal lottery ticket or tickets on your behalf at an official retailer. Then, the purchased lottery tickets are scanned in a transparant manner and become visible in your account on the website in no time. We’d like to wish those who take part in El Gordo a lot of success and fun! Ready to win the El Gordo? The Spanish El Gordo is one of the most popular lotteries in Spain. For the El Gordo, astronomically high prizes are given away in the days before Christmas! Of course you also have a shot at winning many millions during the remainder of the year! Do you want to try your luck in this popular Spanish lottery? You can now receive a 15% discount through Loten.com if you take part in 5 draws in the El Gordo! Get your El Gordo tickets here!